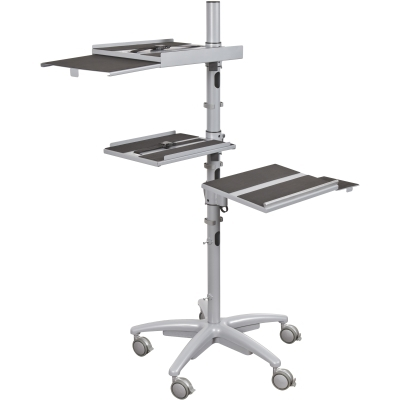 The Alpha Cart Height Adjustable Mobile Workstation is a versatile, mobile, and modular cart ideal for document cameras, projectors, laptops, and other audio/visual equipment. 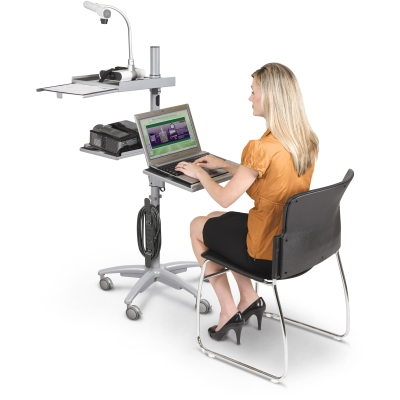 Use as a mobile projector cart, easily transporting your A/V equipment from room to room. The small footprint ensures nimble performance even in tight quarters. Also functions as a compact mobile workstation.